Venice, California is a hotbed of music, spirituality, culture, and historically a spawning ground for such Rock Gods as Jim Morrison and The Doors. 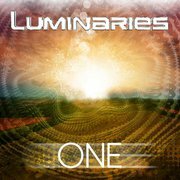 It is in this metaphysical setting that the consciousness-expanding Hip Hop band known as the Luminaries have been born. With a range of sounds spanning from classic, feel-good boom-bap, to neo-soul mashed with super-charged funk-rock, the Luminaries cover the full spectrum of light and frequency. It’s is not simply good tunes that gets the crowd hyped off this live rap act, the 3 MCs perform with a tight group of instrumentalists to accompany their positive message. The outcome is that audiences are left feeling empowered, inspired, and filled with a sense of sheer love as they walk away from this ecstatic experience. Luminaries are no strangers to a large audience. Over the past couple years they have played around the festival circuit with such grand concert events as Harmony Festival, Lightning in a Bottle, and Earthdance, sharing the stage with some of the hottest acts of the moment, including K‘Naan, The Glitch Mob, Matisyahu and Michael Franti and Spearhead, as well as time-tested vets like The Teacha, KRS-ONE, STS9 and even India Arie. As humanity experiences a shift in consciousness, economics, and spirituality, we are redefining the ways we treat one another, and our Mother Earth. While we overcome the wars outside of ourselves, by finding the peace in our hearts, the Luminaries offer a beacon of hope with their music that inspires us simply to love. They welcome you to join the Luminous Movement, while reminding us “Peace Worldwide Starts From Inside.” When Luminaries come to your town be prepared to put your “L” in the sky and remember, you are the light! First time in South FL… lets show them some love! Started from the remains of two bands, one Jazz and one Hip-Hop, ArtOfficial has taken the music scene by storm, implementing their previous musical experiences to achieve quick results. ArtOfficial consists of Danny Perez on Keys, Ralf Valencia on Bass, and Keith Cooper on the Saxophone with vocals provided by emcees Newsense and Logics. It’s a living, breathing entity that lives in Miami, but thinks universally. It speaks in a language that is both familiar and unknown. Its name is ArtOfficial and its here to make you remember the past and embrace the future. ArtOfficial has shared the stage with the likes of Krs-One, The Sugarhill Gang, Pharaoh Monch, and Buckshot as well as performing at 2007’s Rock the Bells festival headlined by Wu-Tang and Nas. Seth “Brimstone” Schere (born in Miami, FL) is a dynamic leader, educator, activist and artist who embodies Hip Hop’s “Can’t stop, won’t stop!” attitude. Brimstone emerged from the Hip Hop world of B-Boys, Graffiti Artists, DJ’s and Emcees in the 80’s. With production/engineering credits with KRS ONE, De La Soul, Black Sheep, Fat Joe, Nelly Furtado, The Cure and Pitbull – He learned to use his skills and experience to motivate others by performing and lecturing on Hip Hop Culture with his organization PATH (Preserving, Archiving & Teaching Hiphop). Brimstone’s work is proof of Hip Hop’s potential to uplift and change society. You have been invited to this special private event, only promoted on FB and email to our friends and family!